Steven Carpenter, an internationally recognized expert on carbon and risk management, and an unconventional resources consultant, has been appointed as director of the Enhanced Oil Recovery Institute (EORI) at the University of Wyoming. Carpenter comes to the EORI with more than 25 years’ experience in oil, gas, mining and international energy. He has a bachelor’s degree in physics; a master’s degree in environmental public policy; and is currently completing his Ph.D. in transdisciplinary approach to carbon capture, utilization and storage research with an emphasis on carbon dioxide and enhanced oil recovery. 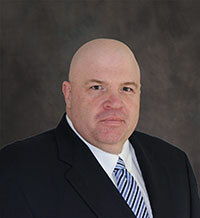 As a project director for a shale oil supply chain, Carpenter evaluated the oil and gas development and production of the Bakken, Eagle Ford and Marcellus shale plays; and has demonstrated experience as a reservoir engineer and strong technical skills in enhanced and improved oil recovery. Carpenter also brings with him exceptional organizational, leadership and management experience. He is presently the chair and head of delegation representing the United States to the International Standards Organization (ISO) for Technical Committees 265 Carbon Dioxide capture, transportation and geological storage, which includes carbon dioxide and enhanced oil recovery. “Wyoming is uniquely positioned with its strong legislative support, engaged and active industry, understanding general public and world-class academic expertise,” Carpenter says. “My vision is to share with the world the ‘win-win-win’ situation that exists in Wyoming, thereby raising the stature of the School of Energy Resources and the Enhanced Oil Recovery Institute. “The vision will be implemented by increasing internal and external collaboration; encouraging creative innovation between the university and industry; and integrating the creative innovation in interdisciplinary and transdisciplinary ways to expand the energy renaissance in Wyoming and beyond,” he adds. "The hiring of Steve Carpenter as the director of EORI completes a yearlong search for the right person to lead Wyoming's EOR initiatives into the future,” says EORI Commission Chairman Tom Fitzsimmons. “I welcome Steve to Wyoming and expect to see his successful track record continue to shine on Wyoming-made projects." As one of the Centers of Excellence in UW’s SER, the EORI facilitates meaningful and measureable increases in recoverable reserves, and production of oil and natural gas in Wyoming that may otherwise not be realized.